Congratulations Gor Mahia. …you have done us proud. NYAMO TIMBE !! GOOD JOB BOYS . NOWS LETS FINISH OFF IN STYLE AND THROW A BIG BIG PARTY NEXT WEEKEND. Congrats to you guyz… hope u see off the nxt two teams n come back with cup. Actually, coming back with the cup was never my expectation but now, i pray that you do. I thnk I will not comment again on the nxt two games except to congratulate the team. @dinga that is the way to do it. Any performance beyond qualifying from the group is a BONUS as per coach Frank Nuttal target in CECAFA tournament. It is good to keep your expectation very LOW,devoid of exerting too much pressure for the players and wait for the surprise. Am waiting for the 2nd and hopefully if all goes then the 3rd BONUS which might culminate in either maintaing the UN B10 run 2015 and:/ or a position 3 or 2 finishing medals but if all goes then ULTIMATE position 1 silverware. But even without the silverware the team has geeled enough to enable them lift the KPL in style . LET US KEEP POSITIVE AND LEAVE THE REST TO THE PLAYERS &TB. Ya man, i don’t think many of us knew how strong Gor actually is. Myself i had stated before that I would give Gor three years to take CECAFA only for the team to supprise. The Gor strength and depth has supprised even the doom sayers who cried day n night on how Gor was being lifted by refs. What has come out clearly is the strength of both the Kenyan and Sudanese leagues. Al Khatoum is a number three team in Sudan yet it has shown such quality. The Kenyan league on the other side has shown that it is not so shallow as it was previously thought but I can only mention Tusker et Gor at this juncture. Most Kenyan (read cooperate Kenya) coaches are in comfort zones and will readily give the ‘ref mbaya’ option…although, the worst part is that they are actually held captive by their players. This is not the first time we have seen the coach Zico situation. Cooperate Kenya is indeed destroying Kenyan football. This was a blunder introduced in one of the Moi era roadside policy statements. I can state this for free…Tusker, KCB, Ulinzi, Bandari, Chemelil and any other team owned by some ‘Govt influence’ business entity will never take Kenyan soccer anywhere. As far as their policies remain the same then Kenyan soccer is basically doomed. A local private company sponsoring soccer on the other side is a different thing all together…watch Nakumatt. They will end up doing the Azam thing. Our defence was an improvement but aerial balls were unchallenged. I hope we seal that and fire on all cylinders to beat Khartoum.I feel today the ref was against us and we lived dangerously. it reminded me if ivory coast vs Greece in 2014 world cup. 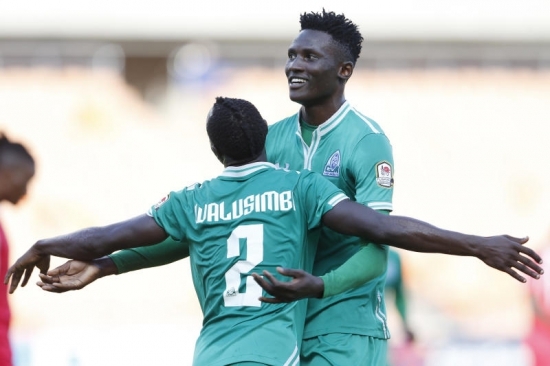 Wafula and walusimbi will be key to feed Olunga and Kagere as Karim and Abouba will be kept busy by Khartoum.If our midfield requires power, then the beast will be handy.Is it true that 2nd and 3rd runners up get only 1million shillings?if so then its too little. Importantly the Khartoum back line is made of mortals so Gor should do the job.We deserve the final. FROM HERE IN JUBA WHICH IS THE HOME OF AL MALAKIA I WANT TO CONGRATULATE GOR AND THANK GOD THE ALMIGHTY FOR THE WIN. THERE ARE NO SMALL TEAMS IN CECAFA. THE SOUTH SUDANESE TEAM BENEFITS FROM SPONSORSHIP FROM SEVERAL COMPANIES. IN VICTORY AND GLORY, IN DEFEAT AND AGONY KOGALO FOR EVER!! Thank u mr nuttal for reasoning the same as i do.you benched players that many saw as out of form and the result speaks out for itself.otherwise i blame the referee for denying us two clear penalties.the playing surface was very slippery thus affecting our usual display.thanx for victory and never listen to discouraging comments from mwakio. Today COMPRESSOR has really tried!!!! @compressor, you have spoken well and we are not at war. Keep it up comrade for seeing the light. there is confusion on who we face on Friday ntv says shandy or KCCA some say Khartoum.Whoever it is our fire power when full throttle is next to none but let us avoid slim leads if possible. We return all the glory and honor to the Almighty God for the sweet victory over Al Malakia in the mighty name of Jesus Christ….Amen. We also thank the technical bench led by Frank Nuttal, players, officials and fans. May god bless you all. Am praying for this club for the last remaining matches, I want them to crush Al Khartoum by the grace of GOD. I am glad we won. As many of the bloggers have opined, everything else is now a bonus. Kogalo has won Simba fans over. I saw a number of them clad in Gor jerseys and proudly kissing the crest. A Yanga vs Gor final will explosive. A blockbuster so to speak. Deep inside I don’t want to meet them because of the revenge factor. It is not easy to beat a team so many times like we have done to Yanga. Finally I would like to urge our to learn to kill the game early, improve on our conversion rate and learn to deal with crosses and long throw ins. Many were the times my heart flew into my mouth whenever Malakia made runs down the flanks. Sometimes our fullbacks look too casual. Infact all the goals we have conceeded have come from the flanks. I am sure our opponents have realised this and perhaps it is the reason we have not kept a clean sheet in the tournament. I hope Nuttall will work on this before Friday. God bless Gor Mahia. Football Kenya Federation has joined the debate on the influx of foreign players by announcing it will reduce the number to three from current five next season. The federation also said that foreign players to be allowed must have something extra to feature in the local league. The statement by FKF comes hours after Kenyan Premier League Limited announced it will set up age limits as a way of regulating the influx. Speaking to Goal on Tuesday, FKF President Sam Nyamweya said they are concerned by the influx and also took issues with the country’s immigration department for not vetting the foreign players. On Tuesday, KPL CEO Jack Oguda revealed to Goal that they are considering tough rules to cut down on the number of foreign players in its competition. Some of those rules include imposing an age limit of any foreign player joining a Kenyan Premier League side. It’s amuzing how Kimanzi’s call to chase away foreign players is already being discussed by FKF et KPL. Kimanzi now stands on top of the Fort thinking that he will be Tusker coach for ever. He should learn of one Joseph Kamotho the former KANU Kingping. It’s obvious that Tusker Co. being the League sponsors want to swipe the carpet off Gor Mahia’s feet. They know they have the money to buy all the local players and on the other hand want to limit the foreign influence. One thing they forget is that Gor mahia is in the biz of soccer while Tusker is BEER maker, the Gor scouts will ofcourse take their time in getting the right players than an idealess Tusker executive. What has Tusker with all it’s money done towards youth development? Why does Tusker still recruit foreign players? Tusker does not even have an under anything youth club. What players have Kimanzi developed from grass roots. This guy is really being short sighted. Kenya’s main undoing is luck of youth development. Companies like Tusker could have gone along way in developing youth soccer. The Gor success has exposed many coaches and it will be sad if FKF will change policy (prodded by the league sponsor Tusker) just to curtail the success of one club. The skill of current Kenyan crop of players is poor and it has nothing to do with foreigners. Was Kenya ranked higher before the foreigners came to Kenya? If this is how Kimanzi saved his job it’s really a pity. The bottom line is this, Tusker knows that inorder to beat Gor Mahia they will have to buy very expensive foreign players…something the Board cannot let them do, WHY? Tusker is in the biz of making beer not playing football. So what was the next best thing to do? Chase! chase! chase! OK lets chase away the foreign players and see Kenya qualify for the World cup.